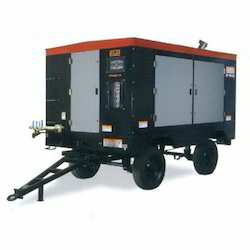 Our organization is engaged in offering a superior quality assortment of Portable Power Air Compressors. The compressors offered by us are available in different ranges, capacities and other specifications that help in fulfilling the requirements of our clients in an efficient manner. Moreover, these compressors are tested on various parameters so as to ensure their compliance with set standards and norms. 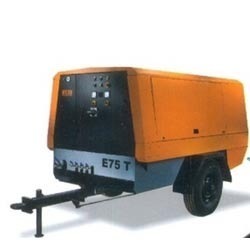 Our domain expertise has enabled us to offer a wide range of Portable Electric Screw Air Compressors. Manufactured using superior quality raw material, these compressors are electrically powered and non- polluting. Moreover, the offered compressors are tested on various parameters so as to ensure their high performance and hassle-free working life.